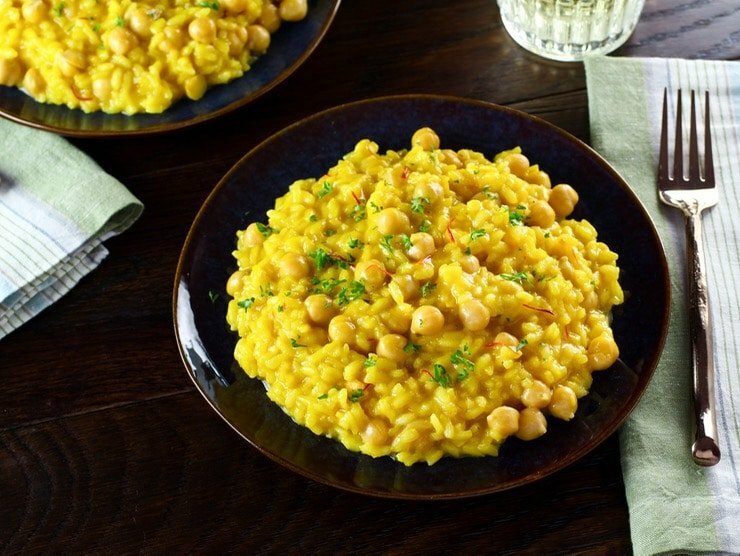 Take Meatless Monday to the next level with this colorful and creamy Saffron Chickpea Risotto! 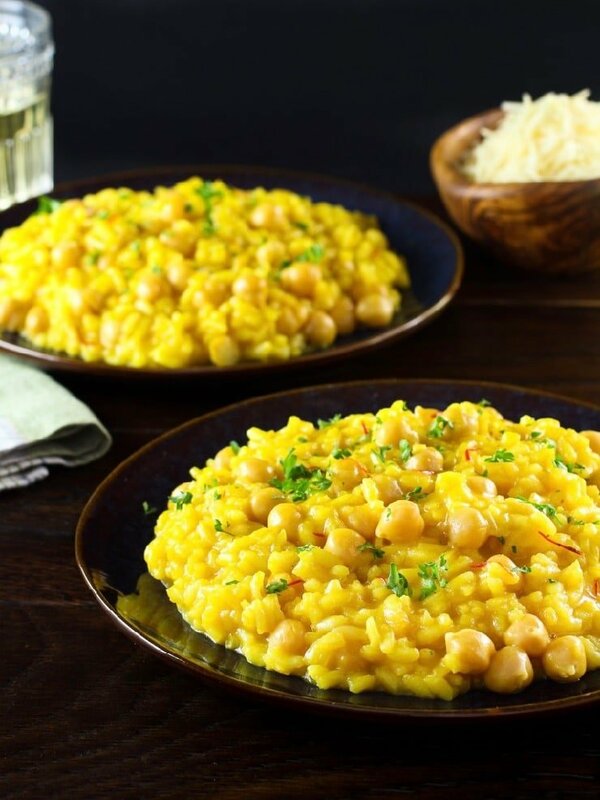 This golden saffron-infused vegetarian risotto recipe is a delicious and gluten-free complete protein. Risotto is Northern Italy’s answer to pasta. The dish is made with short-grain, glutinous rice that grows in the Po Valley. 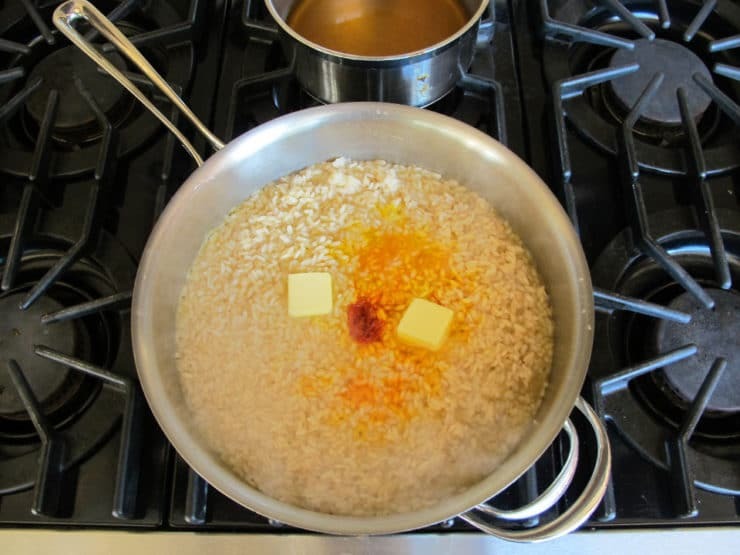 This type of rice is unique in that it is able to absorb a great amount of flavor from everything it is cooked with, while also remaining firm in texture. It is traditionally served as a first course, but can also accompany heavier meat courses like ossobuco (if you’re not keeping kosher) or it can stand alone as an entree. This dish may have originated in Venice, a city that has historically been a crossroads for explorers and merchants for centuries. The type of rice used to make risotto was likely brought to Italy from the Far East during the 11th century. A letter from the 1400s, in which the Duke of Ferrara was promised 12 sacks of rice for planting, proves that rice was growing in the Po Valley by that time. According to legend, risotto was created in 1574. During the 200-year construction of Milan’s Duomo cathedral, workers from all over Europe lived together in temporary housing. Among the workers was Valerius of Flanders, who was in charge of creating the stained glass. A student of his became known for adding saffron to his pigments to increase the vibrancy of their color. 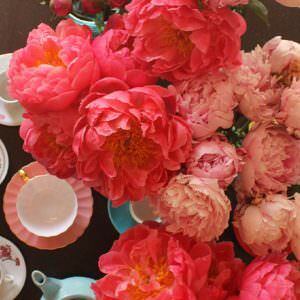 As the story goes, Valerius continuously taunted him by saying “If you go on like that, you’ll end up throwing saffron into your food.” The student responded by playing a trick on Valerius during his daughter’s wedding. After bribing the head cook, he snuck into the kitchen and added a hefty pinch of saffron to the rice. He then presented the golden rice to the wedding guests. 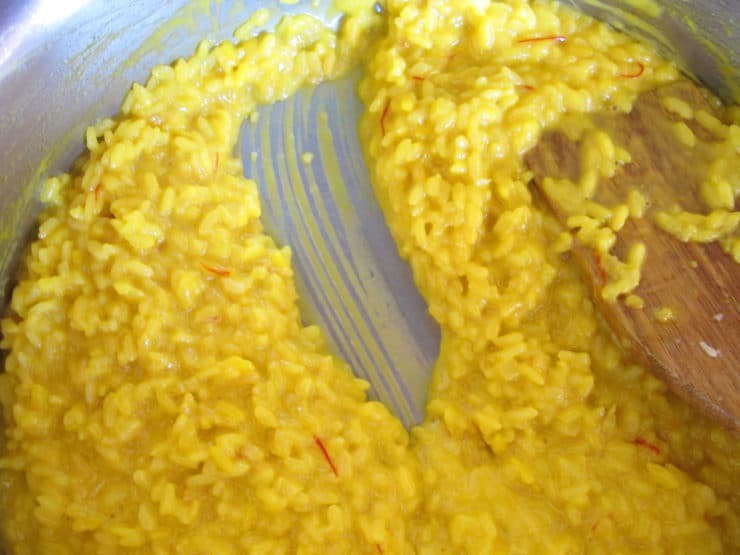 The dish was a hit and has since been known as risotto alla milanese (Milan-style risotto) or risotto giallo (yellow risotto). Food history legends are often wives tales, as this one probably is, but it’s a colorful and charming story that perfectly suits this dish. While risotto alla milanese normally contains bone marrow and beef stock, I have created a vegetarian version here using vegetable stock and vegetarian Parmesan cheese. 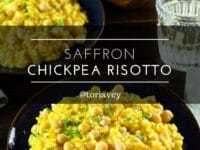 I added chickpeas to make the dish a complete protein (combined with the rice), making this a delectable stand-alone meatless entree. It is entirely addictive. 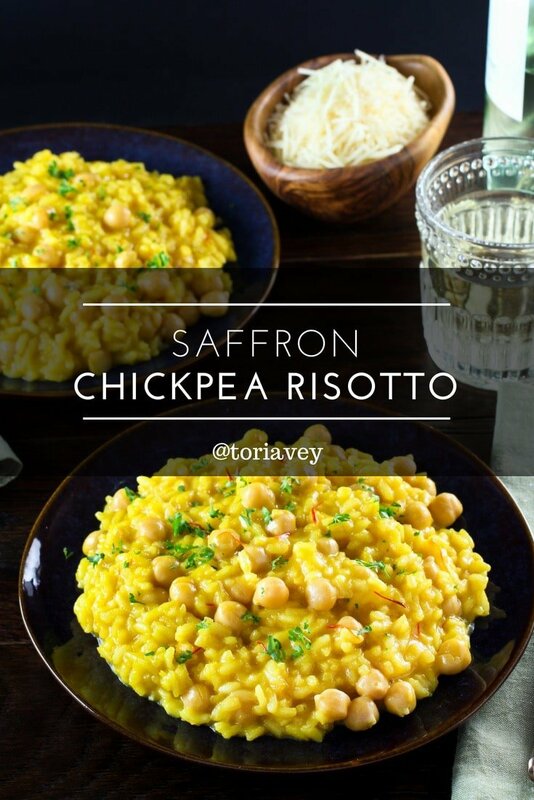 With Rosh Hashanah approaching and saffron one of many traditional holiday foods for Sephardic Jews, this would make a lovely addition to a vegetarian holiday menu. Mangia! 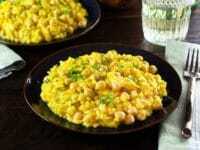 Golden creamy saffron-infused vegetarian risotto with chickpeas for complete protein. Hearty, filling entree. Irresistible! Note: It is incredibly important to use a wooden spoon when making risotto. If you use a metal spoon the combination of heat and friction from the spoon and the pan will give your rice a metallic taste. Also make sure you buy the high quality saffron (around $10-$20 for a small bottle), not the cheap imitation stuff which won't give you the right flavor. 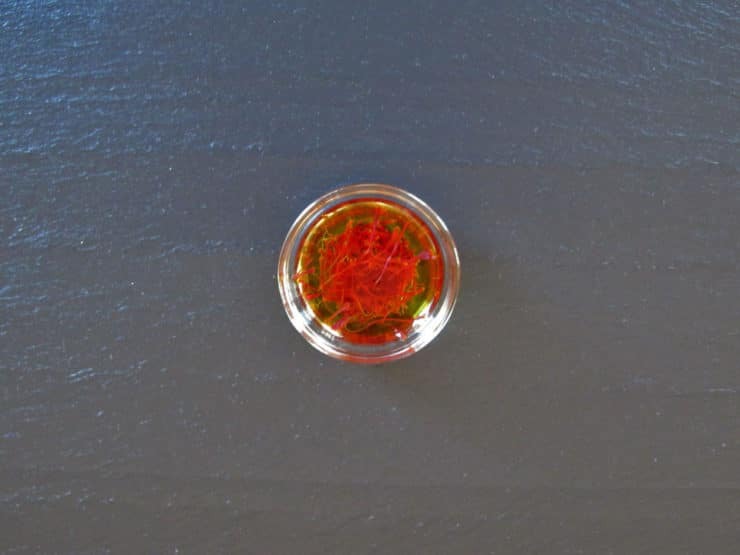 Place saffron threads in a small dish and cover with 2 tbsp hot water. Let the saffron soak for a few minutes. In a medium saucepan, add your 6 cups vegetable stock and bring to a gentle simmer over medium heat. Reduce heat and keep the stock on a low simmer as you proceed with the recipe. In a separate large saute pan, heat olive oil over medium heat. Add the rice and gently toast it in the oil. You're not really looking for color on the rice, you're just trying to get each grain nicely coated in oil. Add your shallots and cook until translucent. Deglaze the pan with white wine while stirring. Cook until the liquid has cooked down quite a bit, until the rice is almost dry and you can no longer smell the alcohol from the wine. If you look carefully you should be able to see streaks at the bottom of the pan as you stir. This is from the starch being released from the rice, and it's a good sign you're on the right track. Add enough of the hot stock from the saucepan to cover the rice completely and give it a stir. Turn up the heat on the rice until the rice is simmering throughout. Reduce the liquid until the rice is almost dry again, stirring frequently as it cooks down. 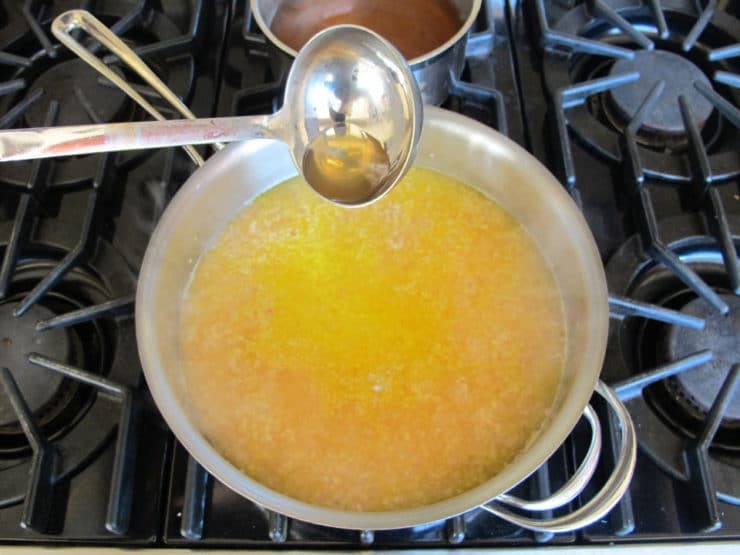 Add more stock to barely cover the rice again, give a stir and let the liquid reduce about halfway, stirring frequently. Taste the rice for doneness. It should be about 75% of the way done at this point, but there is no hard and fast rule. Risotto is one of those dishes that relies on feeling and intuition more than a kitchen timer. 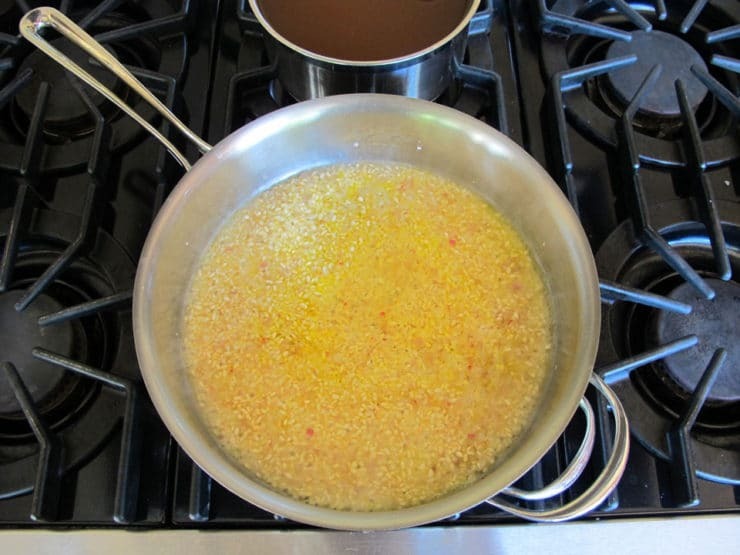 Add your bloomed saffron/water, the butter and enough stock to barely cover the rice again. At this point you need to begin stirring constantly. You're trying to emulsify the fat, stock and starch while incorporating air. So, stir quickly and constantly until the rice has a nice, creamy, saucey look to it. You should be able to see those steaks at the bottom of the pan again. Taste the rice for doneness. If it's still not tender, add more stock and reduce it down to this saucey/starchy/creamy level again while constantly stirring. Once the rice is tender, add your Parmesan cheese while constantly stirring. 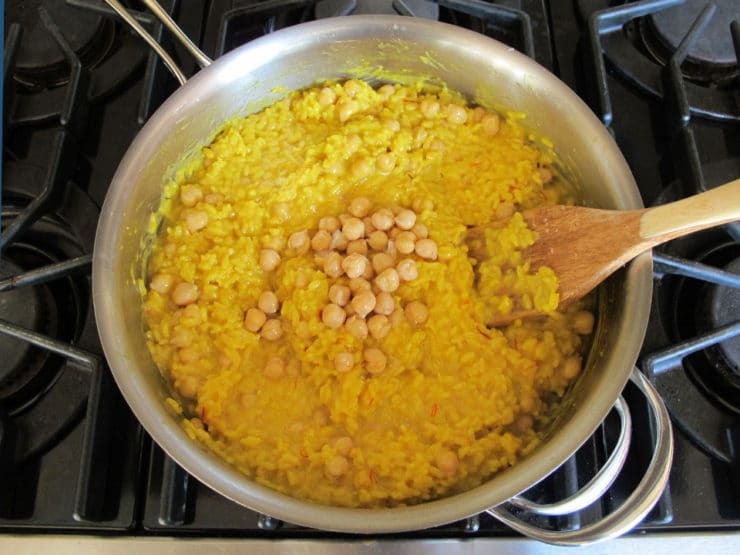 Once it is thoroughly incorporated into the rice, stir in the chickpeas and remove from heat. Adding the chickpeas at this point will heat them thoroughly while bringing down the temperature of the rice enough that it wont overcook. Taste for seasoning. The cheese should bring enough salt to the dish, but if not add salt to taste. 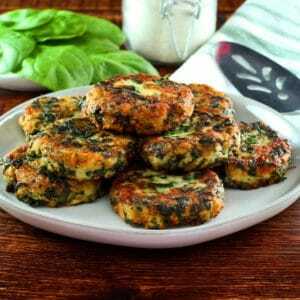 Serve immediately and garnish with chopped parsley. Wasserman, Norma and Barrett, Judith (1989). Risotto: More than 100 Recipes for the Classic Rice Dish of Northern Italy. 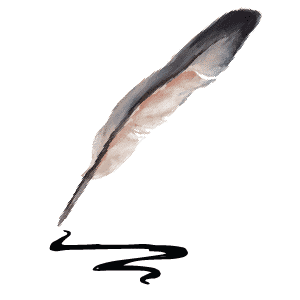 Houghton Mifflin Harcourt, US. Print. Piras, Claudia, editor (2010). Culinaria Italy. H.F. Ullmann, Tandem Verlag GmbH, Potsdam, Germany. Print. Love this risotto! This is our new go-to vegetarian risotto recipe. The recipe turned out good for me except adding the chickpeas cold almost ruined the dish. If I cook this again, I will make sure the chickpeas are cooked before adding. They are hard and crunchy (not cold) and take away from the other flavors in the dish. As someone who doesn’t cook a lot, it was easy to follow however. Hi Meg, personally I prefer cooked chickpeas to canned. If you use canned chickpeas, they are generally fully cooked– but it can vary from batch to batch and brand to brand. If you have a batch that is more tender-crisp, it is best to cook them a bit in some water until they are tender enough for your liking. Sublime. It was so easy to make, and we finished every last morsel. Thanks! Used cannelini beans instead of chickpeas, and that worked out very well! The dish is a little mild for my family’s taste, soI served it with a garlic+paprika+red wine vinegar+olive oil condiment to drizzle on top. I made this recipe tonight and it is my first attempt at risotto. I followed the recipe exactly and it turned out delicious. Thank you for this great recipe and I definitely will be making it again and again. Hi Michael, Tori’s assistant Ashley here. Here’s a list of what comes up when you search “saffron” on Tori’s site. I love this! I am thinking of making it for Shabbat, but what would be good side dishes? Recipe looks good, just wondering if we don;t want to use the 1 cup dry wine, are you able to suggest any substitute for that. What else can be used ? Is there a substitute for the wine? Hi Lauren, the wine is there for flavor. You can just omit it and proceed with the recipe as written, it should be fine. Can this be cooked ahead and reheated? Ruth risotto is one of those dishes I do not recommend reheating. The texture suffers quite a bit. Yum! I enjoyed learning more about risotto, very informative! This looks great. If you have a pressure cooker, risotto is a snap. After sauteing and letting the alcohol burn off, add the stock and bring up to pressure. Cook 7 minutes, then cool immediately. Easy! 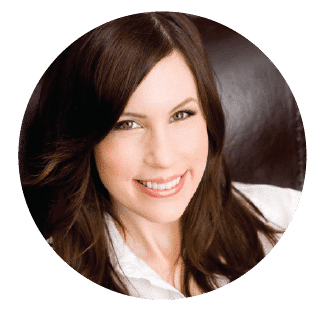 Thank you Tori, this is such a wonderful recipe! Made it last night and there’s not a speck left! So good!!! Fantastic Kate! I’m so pleased you had a chance to try it! Would replace saffron with turmeric to add that extra healthy punch! Love it! This has to be my new favorite way to eat quinoa. Does Saffron come from the Crocus flower? They are the first flowers to spring up along with the Daffodils here in Oregon. Lisa yes! It comes from the stigma of the crocus. It takes a whole acre of crocus to produce only 8-10 pounds of saffron, which is why it’s so expensive. Love the plate it’s on! i will try this, however, what do I substitute for the butter? Saffron really makes simple ingredients elegant ingredients. 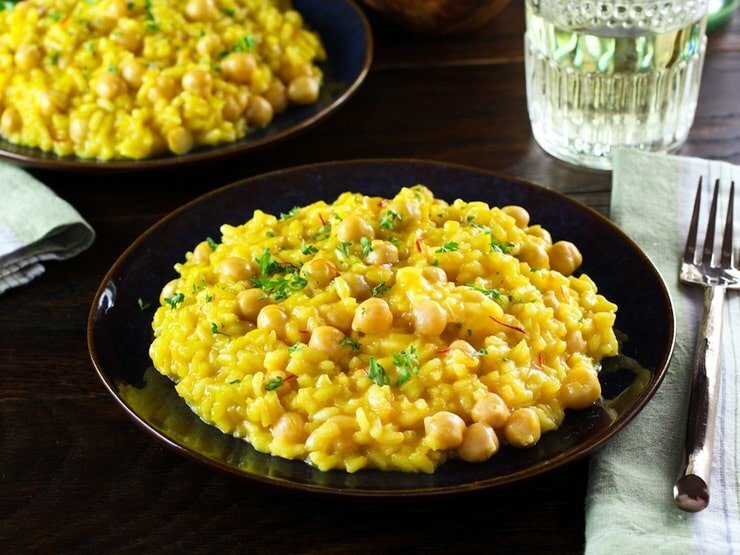 I love risotto and will try this recipe. However, for tomorrow, the ingredients I already have on hand are freshly cooked garbanzo beans, freekeh, jasmine rice and basmati rice, and some quinoa, but no rice to make risotto. I even have new container of saffron! So my question is, with your experience, which of the other grains, if any, would you recommend to make this recipe? I’ll use your other ingredients as instructed, but just cook the other grain separately. Hi Lama! I would love to say yes, use another grain, but it really won’t be the same dish. Risotto requires a risotto rice (the arborio variety is the easiest to find in the U.S.) for optimal flavor results. That said, I do have a quinoa risotto recipe on the site submitted by a friend of mine, so perhaps quinoa might work. 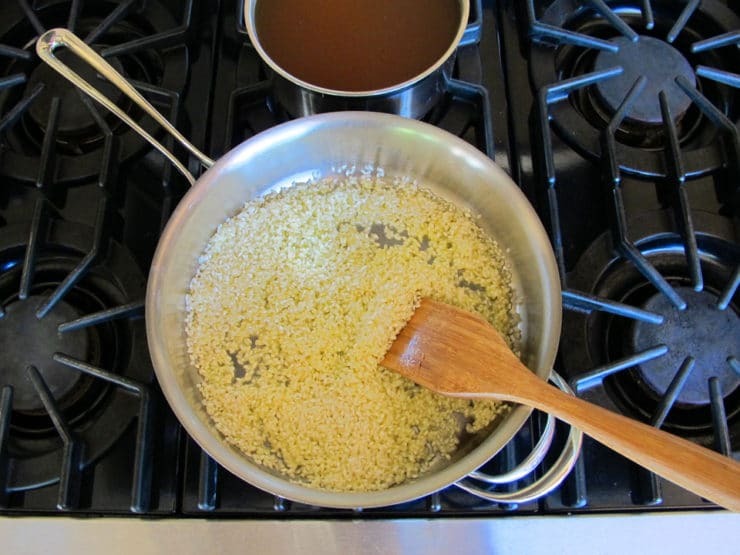 I’m not sure how the cooking method would vary using quinoa or another variety of rice, but looking at that quinoa recipe may give you some ideas: https://toriavey.com/toris-kitchen/2012/03/roasted-mushroom-quinoa-risotto/ Good luck! Please let me know what you end up trying and what the results are. ugh I could use some of this right now! Wow! Reminds me of home! Can’t wait to make this and eat this! I hope so, Shabbat Shalom! Nicolas several ideas are percolating behind the scenes, including a YouTube channel. Lots of exciting things in the works! I had just put some chickpeas to soak, but had no idea what to do with them! Toda Tory again! The dish is beautiful, the risotto looks yummy too. OMG this looks soo amazing, Tori. I absolutely LOVE risotto. Great recipe, girl! 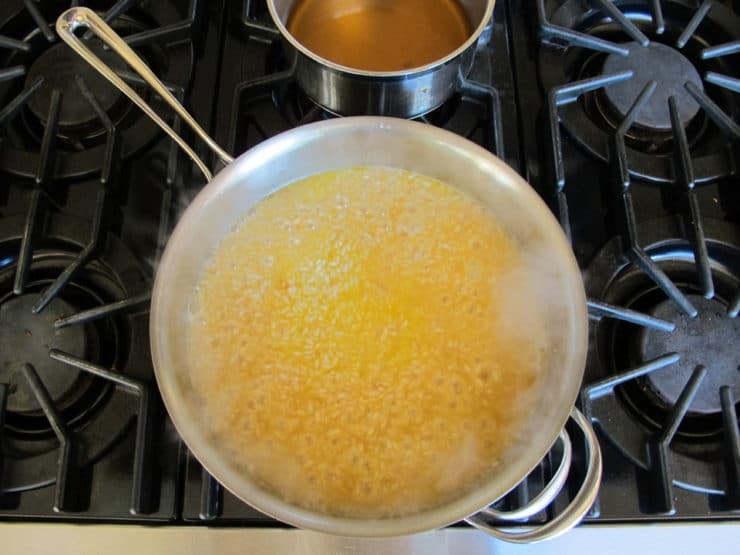 Love the deep golden color of this risotto. This would be a beautiful side dish for an autumn dinner. Yum!